Next to Duck Soup…Horse Feathers (1932) is my favorite Marx Brother movie. Their five movies for Paramount are great. When they moved to MGM their movies had more of a plot but were diluted and tame in comparison with the Paramount films. They were the kings of being irrelevant or irrelephant as Groucho would say. There are some 1930’s references in the movie and many double entendres. With the Marx Brothers, you either get them or not. They are chaos and anarchy all rolled into one. They were anti-establishment before the term was popular. In the 1970s their popularity soared again when college students would wait in lines around theaters to see their films that were 40 years old at the time. Harpo has some of his best visual gags in this movie. Chico or Chicko gets lost sometimes when talking about the brothers but he plays a big part in the act. Zeppo was regulated as the straight man and Groucho…is Groucho. In Horse Feathers, Groucho plays college president, Professor Quincy Adams Wagstaff. Groucho runs the school and chaos reigns. He finds out the college cannot support the football program. The professors are kissing up to Groucho (Wagstaff) because he is a President. Here is an exchange. Wagstaff: This college is a failure. The trouble is, we’re neglecting football for education. The Professors: [in unison] Exactly, the professor is right. .The Professors: That’s what I think. Wagstaff: Oh, you do, do you? Well, you’re wrong again. If there was a snake, you’d apologize. Where would this college be without football? Have we got a stadium? Wagstaff: Well, we can’t support both. Tomorrow we start tearing down the college. This is the plot from Wiki…which for a Marx Brothers movie is not as important. The film revolves around college football and a game between the fictional Darwin and Huxley Colleges. [a] Many of the jokes about the amateur status of collegiate football players and how eligibility rules are stretched by collegiate athletic departments remain remarkably current.Groucho plays Quincy Adams Wagstaff, the new president of Huxley College, and Zeppo is his son Frank, a student at the school who convinces his father to recruit professional football players to help Huxley’s terrible football team. There are also many references to Prohibition. Baravelli (Chico) is an “iceman”, who delivers ice and bootleg liquor from a local speakeasy. Pinky (Harpo) is also an “iceman”, and a part-time dogcatcher. Through a series of misunderstandings, Baravelli and Pinky are accidentally recruited to play for Huxley instead of the actual professional players. This requires them to enroll as students, which creates chaos throughout the school. When I first started to read about and watch Charlie Chaplin and Buster Keaton in the 90s I noticed in most of Chaplin’s early short films this beautiful lady with expressive eyes as his leading lady. Chaplin never found a better leading lady than Edna. Edna was born in Paradise Valley, Nevada in 1895. In 1900 her parents moved to Lovelock where they ran the Singer Hotel, though they later divorced. Edna was musically inclined and played the piano well. Shortly after her high school graduation, she moved to San Fransisco, took a business course and began work as a secretary. While searching for a leading lady in 1915 an associate of Chaplin suggested a girl he remembered as a regular at a local San Francisco café. After rejecting several chorus girls, Chaplin arranged a meeting with Purviance, who he was impressed by her beauty and personality but still wasn’t sure she was right. They went to a party and Chaplin claimed he could hypnotize her and she said he could not in front of everyone… she ended up going along with the joke and pretended to be hypnotized and that won Chaplin over. In real life as in the films, Purviance and Chaplin were romantically involved, and they remained close friends even after their affair was over in 1918. While he entertained serious thoughts of marriage, he also had doubts that he expressed in his 1964 Autobiography. Edna also had her reservations as well. Chaplin continued to feel not only friendship but responsibility for Purviance, and she drew a small monthly stipend from his film company for the remainder of her life. Edna was his leading lady from 1915-1923. Purviance eventually married John Squire, a Pan-American Airlines pilot, in 1938. They remained married until his death in 1945. Edna died of throat cancer on January 13, 1958. 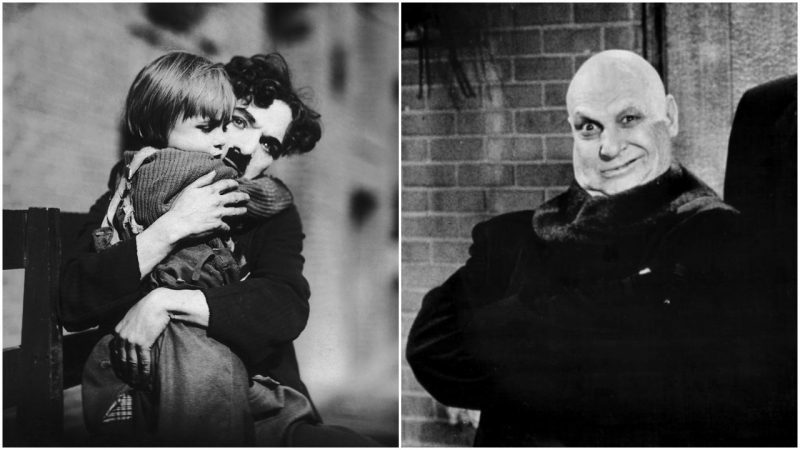 Mr. Chaplin asked me if I would like to act in pictures with him. I laughed at the idea but agreed to try it. I guess he took me because I had nothing to unlearn and he could teach me in his own way. I want to tell you that I suffered untold agonies. Eyes seemed to be everywhere. I was simply frightened to death. But he had unlimited patience in directing me and teaching me. There has been so much written about this show and the writing will never stop. It was a show about the quirky citizens in a fictional town called Mayberry. The Andy Griffith Show is not just another show. The series will be around long after we are gone and still being discovered by future generations. Some of the love I have for the show is about escapism. The low pressure of living in Mayberry where you are allowed to live slow and friends are only a few miles away. Nowadays our lives are so full of technology and rush that it would be tempting to walk through the screen. Mayberry was based on a small North Carolina town called Mount Airey where Andy grew up. Griffith has also said that although the show was in the sixties, Mayberry had a 1930s-1940s feel to it. Andy Griffith and Don Knotts were a great comedy team. I wish they would have made a few movies together. Knotts wanted to do that but Griffith always backed away from it. You can put them up there with other great comedy teams. Andy was a great straight man and Don played off of him so well. I’ve seen parents play episodes to their kids for lessons, schools play episodes for students and heard of preachers writing sermons around episodes. The humor wasn’t dirty but it wasn’t sterile either. Most if not all of the first 5 season episodes are classics. The show offered a little of everything… One of the things I liked was the bluegrass music of The Dillards who appeared on the show as the Darlings. Denver Pyle played Briscoe Darling Jr. and played the jug with the Dillards. Seasons 1-5 were in Black and White with Don Knotts as Barney Fife. Don’s last season was the 5th season and seasons 6-8 were in color. I have all of the Griffith Show episodes but I will admit…I don’t really watch the color episodes as much as the black and white ones. Yes, there are some good later episodes but it’s Andy. He walks around Mayberry like he is owed money. Andy later admitted on many of the later episodes he was going through the motions. He started to get a little tenser on screen in the 5th season but Barney was still there and kept things light. In the 6th season with Barney gone, Andy acted impatient with his fellow odd citizens where at one time he enjoyed them. It was one of the most successful television shows ever. The Series went out on top and had a successful spinoff called Mayberry RFD. In the early 70s Mayberry RFD and other shows such as The Beverly Hillbillies, Green Acres, Mister Ed, Lassie, Petticoat Junction, and Hee Haw were canceled because of the rural purge the network did… everything that had a tree got canceled it seemed. I have mentioned this book before but not in detail. It is my favorite autobiography I’ve ever read. He starts off in his childhood in the late 1800s and ends up in the 1960s. I have read this book at least 7-10 times. It’s always my traveling companion on trips just in case I need something else to read. I’ve read books by and about Groucho and others written about the Marx Brothers but this book that Harpo and Rowland Barber wrote tops them all. He doesn’t go through all of the movies by detail but he packed so much living in his life that his life was full enough without much info about the movies. He was always himself no matter what. The Brothers never would conform to anyone’s standards. He was counterculture before counterculture. Harpo jumped out of the window in 2nd grade and never came back but ended up hanging out with some of the best-known intellectuals of the 20th century and was a member of the Algonquin Round Table but yet he could hardly spell. He frequently stayed at William Randolph Hearst’s super-estate San Simeon. He called himself a professional listener…the only one of the bunch. Harpo was a good friend of Alexander Woolcott and Wolcott would invite Harpo and a select few to Neshobe Island in Lake Bomoseen in Vermont that Woolcott owned for the summers to play games and hang out every day. Harpo could make life interesting in the dullest of surroundings. He was friends with Robert Benchley, Salvador Dali, Dorothy Parker, Charles MacArthur, Alice Duer Miller, George Bernard Shaw, Beatrice Kaufman, and Ruth Gordon. Wolcott also arranged for Harpo to tour Russia in the 1930s. Harpo actually did a bit of Spy work for the American government at the time…transporting some papers on his leg out of Russia to America. If you read this just to read about the Marx Brothers movie career…don’t…if you want to know what they went through to get where they did…then yes read it. This book tells what old-time Vaudeville was really like. Not a romantic version of it by some old timers that told their story after they retired. Awful boarding houses, spoiled food, and harassment by promoters. He never seemed to age in spirit. He kept up with new things and was not stuck in the past. Harpo was known to wake one of his children up in the middle of the night if he worked late just to play games with them. Life has been created for you to enjoy, but you won’t enjoy it unless you pay for it with some good, hard work. This is one price that will never be marked down. You can work at whatever you want to as long as you do it as well as you can and clean up afterwards and you’re at the table at mealtime and in bed at bedtime. Respect what the others do. Respect Dad’s harp, Mom’s paints, Billy’s piano, Alex’s set of tools, Jimmy’s designs, and Minnie’s menagerie. If anything makes you sore, come out with it. Maybe the rest of us are itching for a fight, too. If anything strikes you as funny, out with that, too. Let’s all the rest of us have a laugh. If you have an impulse to do something that you’re not sure is right, go ahead and do it. Take a chance. Chances are, if you don’t you’ll regret it – unless you break the rules about mealtime and bedtime, in which case you’ll sure as hell regret it. If it’s a question of whether to do what’s fun or what is supposed to be good for you, and nobody is hurt whichever you do, always do what’s fun. Don’t worry about what other people think. The only person in the world important enough to conform to is yourself. Anybody who mistreats a pet or breaks a pool cue is docked a months pay. If you are looking for an autobiography…get this book. Here is a small portion of Chapter 1 of Harpo Speaks! I’ve played piano in a whorehouse. I’ve smuggled secret papers out of Russia. I’ve spent an evening on the divan with Peggy Hopkins Joyce. I’ve taught a gangster mob how to play Pinchie Winchie. I’ve played croquet with Herbert Bayard Swope while he kept Governor Al Smith waiting on the phone. I’ve gambled with Nick the Greek, sat on the floor with Greta Carbo, sparred with Benny Leonard, horsed around with the Prince of Wales, played Ping-pong with George Gershwin. George Bernard Shaw has asked me for advice. Oscar Levant has played private concerts for me at a buck a throw. I have golfed with Ben Hogan and Sam Snead. I’ve basked on the Riviera with Somerset Maugham and Elsa Maxwell. I’ve been thrown out of the casino at Monte Carlo. Flush with triumph at the poker table, I’ve challenged Alexander Woollcott to anagrams and Alice Duer Miller to a spelling match. I’ve given lessons to some of the world’s greatest musicians. I’ve been a member of the two most famous Round Tables since the days of King Arthur—sitting with the finest creative minds of the 1920’s at the Algonquin in New York, and with Hollywood’s sharpest professional wits at the Hillcrest. The truth is, I had no business doing any of these things. I couldn’t read a note of music. I never finished the second grade. But I was having too much fun to recognize myself as an ignorant upstart. I can’t remember ever having a bad meal. I’ve eaten in William Randolph Hearst’s baronial dining room at San Simeon, at Voisin’s and the Colony, and the finest restaurants in Paris. But the eating place I remember best, out of the days when I was chronically half starved, is a joint that was called Max’s Busy Bee. At the Busy Bee, a salmon sandwich on rye cost three cents per square foot, and for four cents more you could buy a strawberry shortcake smothered with whipped cream and a glass of lemonade. But the absolutely most delicious food I ever ate was prepared by the most inspired chef I ever knew—my father. My father had to be inspired because he had so little to work with. I can’t remember ever having a poor night’s sleep. I’ve slept in villas at Cannes and Antibes, at Alexander Woollcott’s island hideaway in Vermont, at the mansions of the Vanderbilts and Otto H. Kahn and in the Gloversville, New York, jail. I’ve slept on pool tables, dressing-room tables, piano tops, bathhouse benches, in rag baskets and harp cases, and four abreast in upper berths. I have known the supreme luxury of snoozing in the July sun, on the lawn, while the string of a flying kite tickled the bottom of my feet. I can’t remember ever seeing a bad show. I’ve seen everything from Coney Island vaudeville to the Art Theatre in Moscow. If I’m trapped in a theatre and a show starts disappointingly, I have a handy way to avoid watching it. I fall asleep. My only addictions—and I’ve outgrown them all—have been to pocket billiards, croquet, poker, bridge and black jelly beans. I haven’t smoked for twenty years. The only woman I’ve ever been in love with is still married to me. My only Alcohol Problem is that I don’t particularly care for the stuff.